New show to feature the innovators, disruptors and creators who are changing the way business happens today. Venture Cafe St Louis has announced the launch of a new podcast produced in collaboration with Venture Café Miami and SLAM! Agency, a creative agency based in St Louis. Each episode is hosted by Tyler Kelley and Michael Johnson from SLAM! Agency and, on occasion, Travis Sheridan, from Venture Cafe Global. Innovation City Produced by SLAM! Agency, powered by Venture Cafe Global. 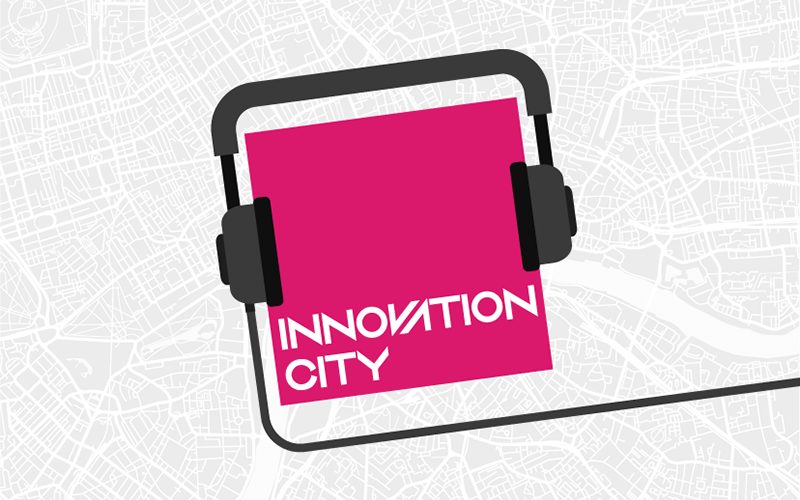 The podcast dropped this week and the Innovation City team have released a new episode every single day of the week. Today is the first episode to feature an innovator in St. Louis – De Nichols, whom you may have heard giving a TED talk at TEDxGatewayArch last year. There are many more local St Louisans to be featured in the upcoming episodes, from activists to game designers to storytellers, such as Cami Thomas, Kelley said, giving EQ a sneak peak of the forthcoming line-up. The trailer for the podcast features an incredible soundtrack too, produced by Grammy Award winning artist from St Louis, Courtney Orlando. Nonetheless, the focus on the show is not STL centric, nor is it just about startup innovation – but innovation of thinking in general. Partnering with both Venture Cafe St Louis and Venture Cafe Miami, the Innovation City team’s goal is to capture the thought leadership taking place within every new ‘upstart’ city emerging across the United States and Canada. From Montreal you can hear from Ashkan Karbasfrooshan about how WatchMojo created one of the top 10 YouTube channels in the world and generate literally billions of views. In a forthcoming episode you’ll also get a take on how Chick-Fil-A engages in community affairs from Atlanta. To get a sense of the ‘big think’ discussions hosted on the podcast, the Miami line-up includes an interview with, Brian Brackeen, the founder behind a groundbreaking AI and face-recognition technology company. 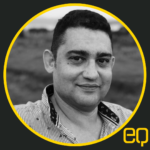 Brakeen worked closely with Steve Jobs at Apple before founding Kairos Inc, which was ranked in the Top 24 Most Promising Startups by the Wall Street Journal in 2013. Brakeen’s goal is to become the first African American to IPO, from founding their own company from scratch. What can’t be denied, according to Kelley, is the “realness” — the spirit of seriousness and directness — by which people are taking on challenges which they truly believe need to be addressed, and actively disrupting the sense of business as usual. The Innovation City podcast is recorded live, with videos published to YouTube and the audio published to iTunes, Spotify and Soundcloud. New email subscribers to episode updates will also enter a draw to win a trip for two to Miami, when signing up here.